BUKIT LANJAN: Start recognising local talent for Malaysia’s future! 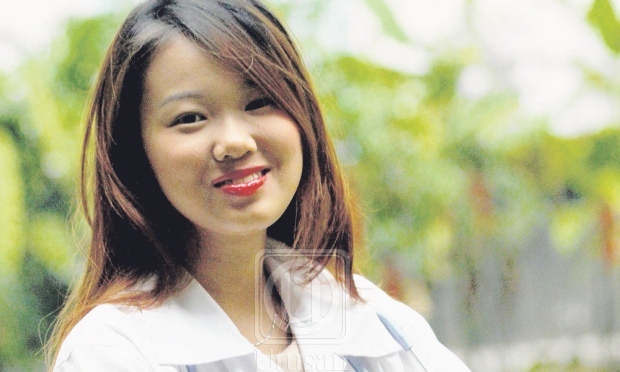 19-year-old Chan Hao Shan is reportedly set to be Malaysia’s youngest ever medical doctor. From the report reproduced below, Chan is born with a higher ability or talent to achieve academic excellence than others. No matter what, congratulations is in order to Chan who has done Malaysia proud. “What I am wondering is why she had to pursue her Bachelor of Surgery (MBBS) from Taylor's University but not in a reputable public university. “Why wasn’t she given a full government scholarship to pursue her medical studies in a reputable university, say in the US or UK,” Gerakan Deputy Speaker Syed Abdul Razak Alsagoff said. He said state and federal governments must start recognising talent and groom them to be world class contributors to Malaysia’s socio-economic progress. “Nothing can replace talent and competency. Recognising talent and competency cannot be based on skin colour or religion. It must be based on Malaysian,” he added. “There are no two ways about this. We need as many talent as possible to raise the quality of our human capital in every field of society and economy. Also, Team Malaysia won 20 gold medals in the 21st World Championships of Performing Arts (WCOPA) that was held in the United States recently. So, are these world beaters to be left unrecognised? Reward them! Wouldn't it also be absolutely marvelous for the state and federal governments to host fund-raising dinners (for a good cause) to gather all the above young talents and help motivate excellence achievers? PETALING JAYA: Chan Hao Shan, 19, will be Malaysia's youngest doctor when she graduates with her Bachelor of Medicine, Bachelor of Surgery (MBBS) from Taylor's University next year. 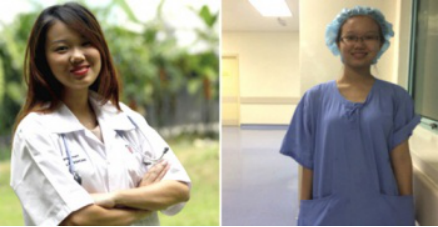 She found her calling when her mother was diagnosed with breast cancer when she was just eight years old. That motivated Chan to read more about the human body and the functions of its organs. "I was curious with the functions of a human body. For instance, I was curious about what really happens in the throat when humans swallow something," she said. In an interview with Sin Chew, Chan said she developed a passion for reading at a young age and would select her books when her parents took her to the book store. Her father is an engineer, while her mother is an accountant. Since Chan was academically ahead of children her age, her parents transferred her to an international school after just three years at a Chinese primary school in Kuala Lumpur. She spent two months completing her Forms 1 and 2 syllabus, and another two months completing her Form 3 and O Level syllabus. She completed her entire secondary school in just a year. "I love to challenge myself, which enabled me to skip years in school. I felt bored in class as the progress was too slow, and the teachers kept repeating the same thing. In just a few days, I've finished studying the whole textbook," Chan said. At 14, Chan enrolled in the Australian Matriculation (AUSMAT) programme at a private college and finished her studies within a year. By Bernama - July 6, 2017 @ 11:54am PETALING JAYA: Though just 17 years old, Muhammad Daniel Mohammed’s love of dancing has turned him into an international star. Since taking up dancing when he was 10, he has pranced his way to victories in competitions both in Malaysia and abroad. His latest achievement may be his biggest yet – winning the A1 for all Single Dances and A1 for Multi Dances in Latin and ballroom dance at the Blackpool Dance Festival 2017 held at The Winter Gardens, Blackpool, Lancashire, England, in May. “After almost seven years of hard work, this is the first win I have achieved in Europe and I feel so happy to have made my family and country proud,” he said. Surprisingly, Muhammad Daniel revealed that he initially took up dancing at the Taipan D’ dance World just to lose weight, after watching his younger brother, Muhammad Adam, 15, enjoying himself at the dance class in 2010. “My aunt Faizan Amron had proposed to my parents to send Adam for Latin dance since he loves dancing, and I just accompanied him to the studio. After watching him dance, I found it to be exciting and fun. I also joined because of my weight … I was really chubby back then, weighing 80kg,” he said. He added that the dance school principal suggested that he take up ballroom dancing – and that was how the partnership with brother Muhammad Adam resulted in the A & D Brothers. 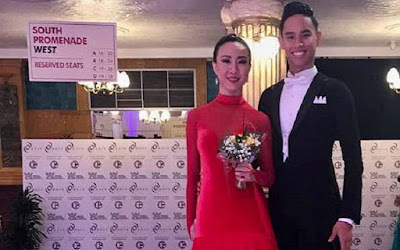 The siblings began participating in dance competitions, the first being the 17th Penang International Ballroom Dancing Championships in 2010. Besides the Blackpool Dance Festival 2017, Muhammad Daniel has also won other international competitions in Indonesia, Taiwan, Sri Lanka and Thailand, as well as the 6th Hong Kong Ballroom Dancers International Cup in April this year. “Through dancing, we don’t just dance, but also learn self-grooming, socialising, ways to catch audience’s attention, facial expressions and acting,” he said. Brother Muhammad Adam will be competing in a Latin dance competition in Penang this month, after having won a competition in Singapore early this year. “At the beginning, some people used to ask us ‘You are dancing? Don't you think it’s very girlish? But I always used to say that you should try Latin (dancing), as it brings out the manly characteristic in you,” said Muhammad Adam. Muhammad Adam said his school also started organising many national dance competitions as a co-curricular activity, having been inspired by their achievements. Sylvia Yeoh said the brothers have never failed to impress her since they joined her academy three years ago. “It’s very hard to get boys who are very talented in Latin and ballroom dancing. So, when I first got them to join my group, I was thinking how to enhance these two boys’ abilities to another level. They never failed to impress me and have been very cooperative,” she said. 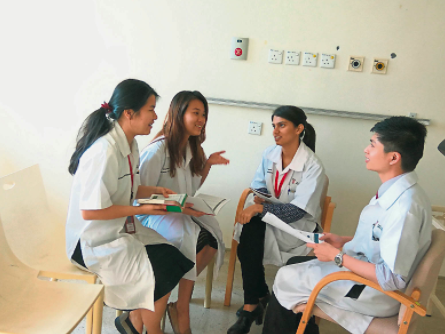 “I always believe that academic pursuit and (extra-curricular) activity can both be achieved at the same time with the right time management and support from the family,” she said. Yeoh added that she hopes the government and private sector would provide financial aid or sponsorship to the two brothers, since they have the potential to become well-known international dancers. “The minimum budget for a dancer to join international competitions, including costume, flight, entry registration, lodging and training, can amount to RM35,000. We hope to get some financial assistance from the government and the private sector to ensure that the Malaysian flag will continue to fly high at the Winter Gardens, the prestigious Blackpool Hall in England,” she said. Mohammed Amron, father of the two brothers, said he hopes that government and private sector sponsorship of Latin and ballroom dancing could motivate and encourage more youth to take up the art. The competition was held from June 30 to July 9 in Long Beach, California, for aspiring performers and entertainers. - The Star Online"